To be honest, I’ve been finished reading these three books last weekend, and suffice to say, it ruined my life, as expected from Richelle Mead. Like, literally too, I did not go to my uni’s first day of enrollment because I just couldn’t stop until I have consumed all the books in this series. 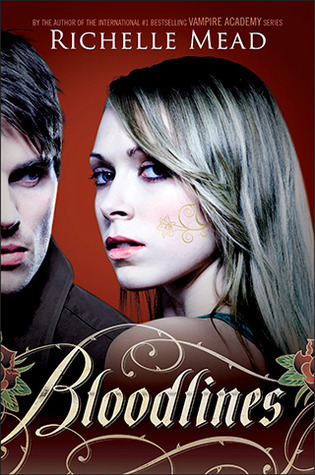 Bloodlines series is a spin-off from the very popular and successful Vampire Academy, which broke the prejudices set by Twilight on the genre of supernatural. (I will review Vampire Academy, if I get enough motivation.) But Vampire Academy is more than great! The whole idea that there are two kinds of vampires – an alive and an undead kind – is so much better deconstruction that the sparkling vampire kind. A very good background about the worlds the characters move in will always arouse me. So go check out Vampire Academy if you still haven’t! But I guess you can read Bloodlines without starting off VA. I mean, it’s been half a year since I read the Vampire Academy series, and I still got on with Bloodlines okay. But it certainly helps to get a good hang of their world. But one point of interest for you, dear readers, to consider is that Richelle Mead tries and explains the jargon while moving forward with her plot, like any self-respecting author would. Bloodlines start with Sydney Sage, our favorite alchemist from VA, woken up by a mission that could potentially get her in the good graces of the alchemists once again. After her incident with Rose Hathaway, she is determined to prove that she can be trusted and fielded again by the alchemists. The mission given to her, however, will challenge her more than she ever thought because once again, she’s going to get contact with the Moroi, and familiar Moroi at that. 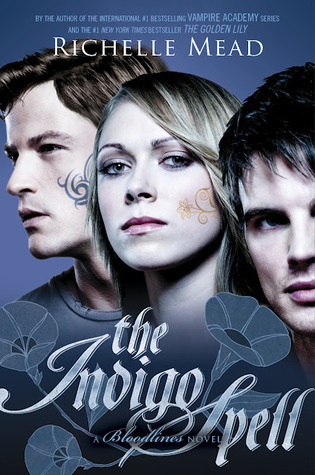 Jill Dragomir Mastrano, Queen Vasilisa Dragomir’s half-sister, has her life put in jeopardy because of the clause in their law that a reigning monarch could only take the crown as long as there is at least one kin alive, and for Lisa that is Jill. Sydney is brought to Palm Springs to undercover with Jill as Jill’s older sister in a prestigious high school that has more secrets than what they originally thought. Basically, Bloodlines is yet another book with a female breaking the stereotype of damsels in distress, because Sydney just basically kicks all evil asses in this series. Try to think Nancy Drew with all the uncovering of schemes and conspiracy theories. What I loved about these series is it encourages us readers to think about our world, our life, and how we react to political structural instructions. Do we need to follow everything blindly? Do we need to believe everything that is told to us without thinking first? That is basically Sydney Sage: Overachieving curious alchemist. And there’s nothing wrong with being curious! Aside from getting to all different sorts of danger. But a little danger don’t hurt anyone (much) especially when there’s a potentially hot, gorgeous, artistic lover along the sideline. Speaking of lovers, I know we all want to have a dose of romance so let’s tackles this issue now. Bloodlines series is not insta-love. Sydney is obviously attracted to Adrian, but things don’t get serious until the halfway through the second. Actually, in my opinion, everything started at the third book, which is more than fine. I don’t like being strung along by some epic, angsty love at the beginning of book one. For me, the most beautiful love stories are the one that creeps slowly at you, catching you off guard until you just realize that they’re in love with each other in the most basic, cellular way, and there’s nothing that could get between them, because they just have that epic kind of love. And this is one of those. You have to realize that Adrian’s and Sydney’s love for each other is more than just character development. There are serious issues between them that hinders them from loving each other freely, and like the real world, it’s all about races. Adrian is a Moroi, and Sydney a human. If they ever get together, their offsprings would forever carry the brunt of their love by being dhampirs, which are NOT GOOD in their world. Dhampirs never fit in; They are half-human, half-vampires. Not human, not vampires either. It is almost a taboo to pursue a relationship with a human, if you are a vampire. 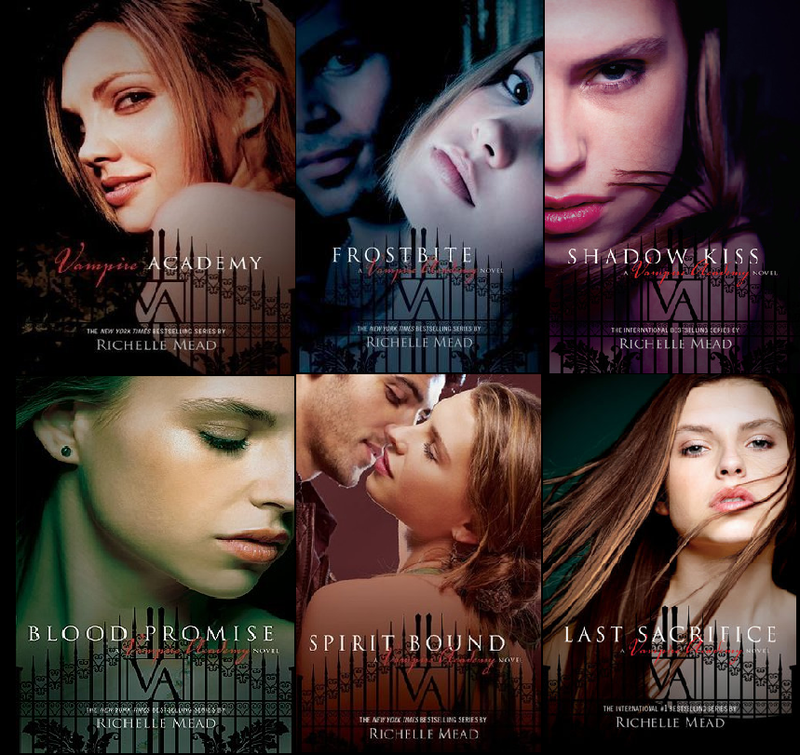 What hooked me to this series, both this and VA, is how seamless Richelle Mead explained the premise of the stories. The world they move in, which is ours technically, filled with the existence of these creatures is realistic. It definitely works and is very believable. And I’ve said earlier how I love those kinds of stories. Don’t you just love a well-explained book? The ending of the third book is a culmination of a long journey towards happiness, and it’s only the beginning. It is not a cliffhanger, it kind of satisfies the thirst for Sydrian, but readers wold definitely “Uh-oh” at the ending. It’s definitely something I would want to see continued. Which is one of the reasons why this book would kill me. There is a proposed six books to this series! I mean, I survived VA, but that is only because I read it when the sixth and final installment came out. I am still being strung along by The Mortal Instruments, and I AM ABSOLUTELY DYING and add this series and few others more. Yeah. Dying is a long and agonizing process, and then when the long wait is over, going to die all over again because of the book themselves. Le sigh~ Occupational hazards, guys. PS. You may have notice I don’t give out much details. I don’t believe in the idea of giving spoilers, so I try to write about the good and bad points of the book rather than give out details of the books. I will not rob you of the experience of reading books by giving out chunks of facts the book explains. Ish. I want to entice you all to read these books because my review are my experiences and maybe if you read the book, we can talk about the feelings we’ve accumulated from reading the book. It looks like I’ll have to finish the VA series, and wait for the rest of this one to come out. Yes, not for Rose, haha. I would definitely love an Adrian of my own, and a Jace, too. And so many other fictional characters! Sigh. See What I mean??????? Richelle Mead! !